In this technologically evolved world, it’s tough to imagine life without a valid email ID. Being in the market since so long, Yahoo Mail has that old world charm to it. 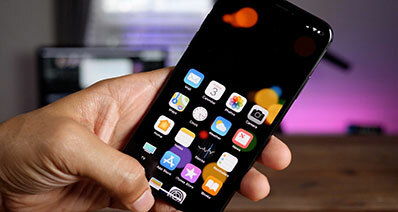 If you have got a new iPhone or an existing one, and have no clue about how to add Yahoo Mail to your iPhone or if your Yahoo mail not working on iPhone, then you have come across the right place. We are going to discuss the top 5 solutions to fix why you can't get Yahoo Mail on iPhone. 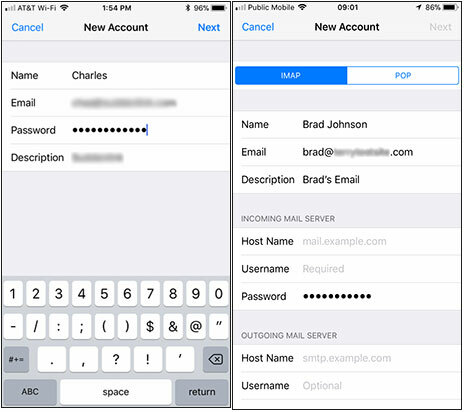 Majority of iOS Mail App issues are due to inappropriate/invalid settings in your iPhone or some kind of problem with your Yahoo Mail ID that you intend to add to your iPhone. These 5 solutions are going to help you to a great extent. Let’s explore. Make sure to update the firmware of your iPhone, so that any App you install into your device works seamlessly without any glitches. The process to update your iOS is not at all complicated; you can do it with simple steps, sans any tech-geeks’ help. So, here is how to do that – through iTunes and through wirelessly. 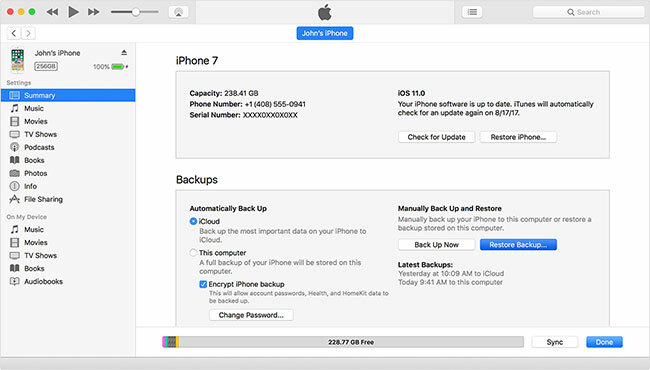 Tip: Prior to updating your device, it is recommended that you should back up all your important data using iTunes or iCloud. Step 1: First, you need to update the iTunes firmware to its latest or install it. Now, launch iTunes on your PC. Step 2: Take a faultless lightning cable and connect your computer to your iPhone. Open the iTunes interface and tap on your ‘device’ icon from the top corner. Click ‘Summary’ on the side panel to see your iPhone information and click on the ‘Check for Update’ tab. Step 3: Tap the ‘Download and Update’ button on the popup window, right after clicking the ‘Check for Update’ button. Step 4: Confirm your actions after hitting ‘Download and Update’ button. 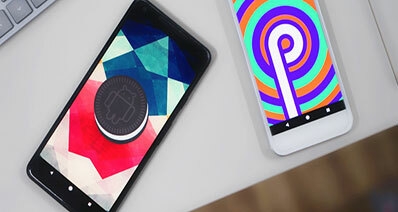 Once you did that your iPhone will get updated with the latest iOS. Step 1: Connect your iPhone to a stable Wi-Fi connection after turning it on, to access internet. Go to ‘Settings’, then select ‘General’ and click on ‘Software Update’. Step 2: Now, tap ‘Download and Install’ and the latest software will get installed in your iPhone. If you run out of space, the popup window will ask you to delete some data, confirm by tapping on the ‘Continue’ button and delete unwanted Apps. Post iOS update, you can re-install Apps which got deleted during iOS update. Step 4:	Choose ‘Install’ and get the iOS updated in a jazzy. Punch in the pass code if required and you’re done. We are positive that the above solutions would help you to sort out the Yahoo mail not working on iPhone problem without any hassle. 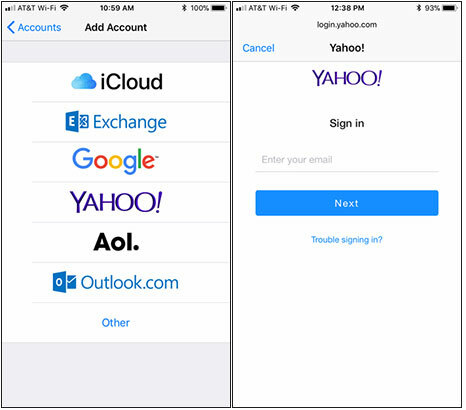 There are situations when you want to connect to your Yahoo Mail account on your iPhone, but the system doesn’t automatically retrieve the correct server information. In such cases, you need to enter the information manually. Yahoo Mail problems on iPhone becoming prevalent with increased iOS updates. 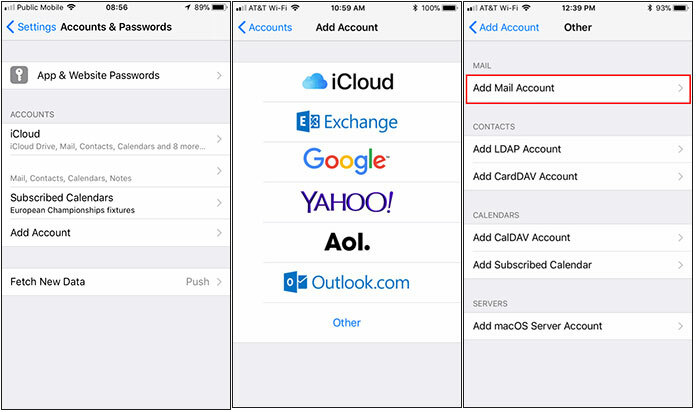 You can solve the Yahoo mail not working on iPhone issue in 2 steps – first, remove your Yahoo Mail account from the iOS Mail and then manually set up an account in iOS Mail through Yahoo Mail IMAP settings. Go to ‘Settings’, then tap on ‘Accounts and Passwords’ and choose the ‘Yahoo Mail’ account you want to delete and push the ‘Delete Account’ key. Again touch ‘Delete Account’ button to confirm. 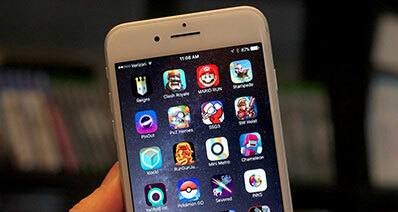 Now, you have successfully removed your Yahoo Mail account from your iPhone. 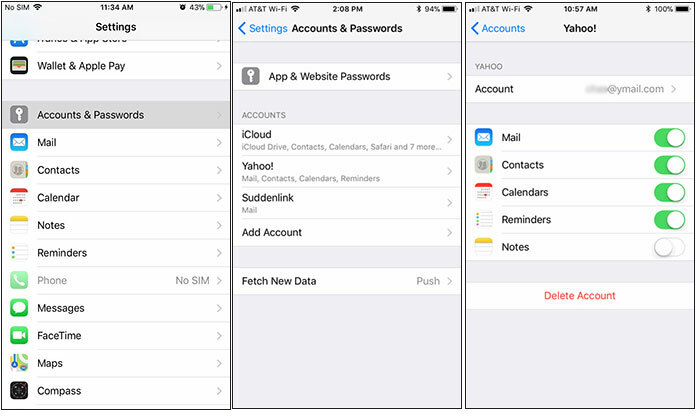 For manually setting up a Yahoo Mail account on your iPhone using IMAP, get into ‘Settings’ and choose ‘Accounts and Passwords’. Go to ‘Add Account’ and tap on ‘Other’ and then tap ‘Add Mail Account’. Now, fill the details and tap ‘Next’. Select ‘IMAP’ and provide the incoming and outgoing server information (for your convenience, we have listed it below). Your iPhone will make a connection between the SMTP and IMAP server. Ultimately Yahoo mail not working on iPhone problem will get fixed. When you face Yahoo Mail problems on iPhone such as you are unable to access emails or Yahoo mail not working on iPhone. There is another interesting solution to ease off the burden i.e. try to open Yahoo Mail outside of the App. You can do that by logging into your Yahoo Mail from a desktop computer using a web browser like Safari or something. Compose and send an email to your own email ID and wait for 5 minutes, whether it reaches you or not. There’s a chance that your yahoo mail account isn’t actually working outside of the app and hence, your Yahoo mail’s not working on iPhone too. At times the settings responsible to connect Yahoo Mail and iOS’s App might get corrupted or have been setup wrongly. Yahoo mail problems on iPhone occurring in such cases can be resolved by removing the existing Yahoo Mail account from iOS Mail and then re-adding Yahoo Mail to iOS Mail. For removing the existing Yahoo Mail account, please refer to Solution 2 of this article. You will find the detailed procedure for the same. 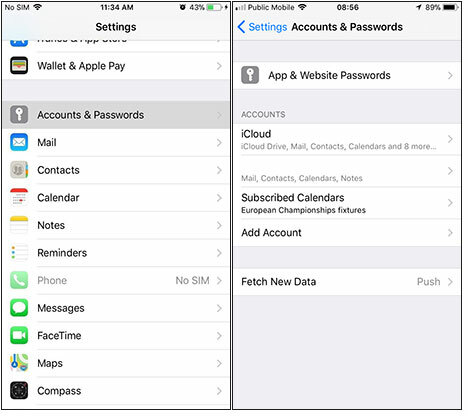 Go to ‘Settings’ and tap on the ‘Accounts and Passwords’ tab on your iPhone and click ‘Add Account’. You will see a list of emailing services; click on ‘Yahoo’ then simply just sign in to your mail using the Yahoo sign in interface. In case nothing works in your favor to bring back your Yahoo Mail up and running, you can resort to downloading the Yahoo Mail App and using it instead. When you can't get yahoo mail on iPhone, rush to App Store and get the Yahoo Mail App instantly. This should solve all your Yahoo mail problems on iPhone and settle everything.